1In a small bowl, whisk together the yogurt, lime juice, curry powder, ginger, salt and pepper. Add oil in a slow stream, whisking until combined. 2Rinse quinoa well in a few changes of water, rubbing grains and letting them settle before pouring off water. Cook in a large pot of boiling water for 15 minutes, rinse under cold water to stop it from cooking, and drain well in a sieve. 3In a large bowl, toss the quinoa with the mango, red pepper, jalapeño and cilantro. 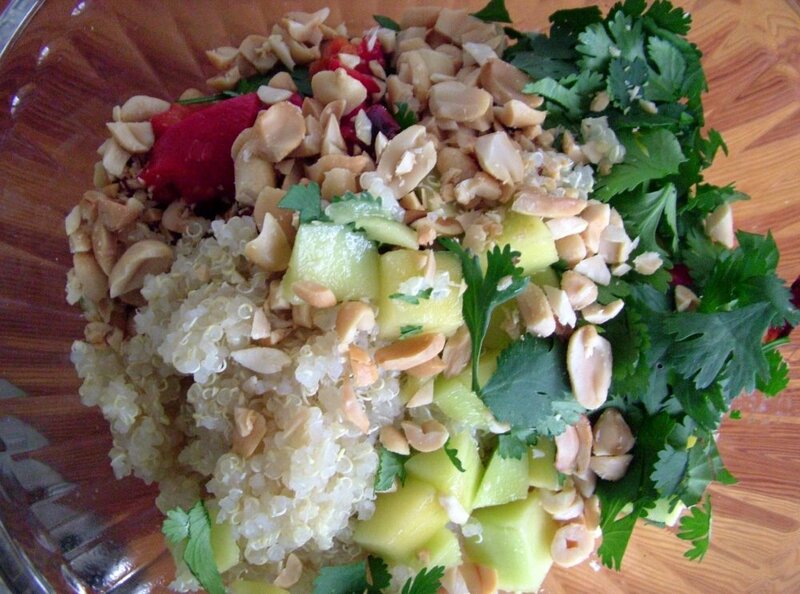 Drizzle with dressing and toss to combine; top with chopped peanuts or cashews.